Life changes can be a struggle. I know because I feel like I have been living in a perpetual state of struggle for months! What is that saying? 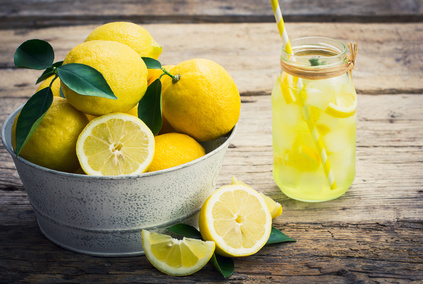 “When life hands you lemons, make lemonade.” I’d like to say, “What a crock!” The truth is that those lemons made me stop and re-evaluate everything in my life. Every day that bowl kept getting bigger and bigger with no chance of ever making any lemonade at all. What was I going to do? I have had plenty of changes in my life. I liked to think that I have rolled through these changes with optimism and a positive can-do attitude, just like Wikipedia says. In reality, I have pouted, cried, argued, shook my fist, and even stomped my foot at the adversity and misfortune that has come my way. I ended 2017 thinking that 2018 was going to be better. But I had just been handed a big bowl of lemons with no idea as to what to do with them. There are only so many recipes you can add a lemon to; likewise, there is only so much you can do in life when it doesn’t go your way. My better half and I have been talking about retirement for a long while, and earlier this year, something happened that we were not expecting. He lost his job…the one that we thought would be the last one he would have before he officially retired. We were hoping for another two to five years of work for him. Now all of our long term plans were in the toilet. With a paltry severance and unemployment, we set about taking those lemons and turning them into a palatable lemonade. Having an unemployed spouse (whom shall be known going forward as “E”) may or may not be a good thing. But when it happens twice to your guy within a couple of year’s time, talk about lemons! While you try to be positive and upbeat, inside you’re dying with worrying and anxiety. For a menopausal woman, this is like the kiss of death. Fortunately, after a few months, he came out his funk and settled into a routine of house husband. He could clearly think about taking his lemons and turning them into a giant glass of lemonade for both of us. Menopause (the biggest of all lemons) had other plans for me however! FYI…this part of my life has been going on for over a decade (no matter what the doctors have told me!) New and upsetting symptoms showed up daily that seemed to be compounded by the stress of having an unemployed spouse. Some days, it was all I could do to get through the tasks at hand. Now I am not one to take a lot of medication, but with each passing day, it seemed like I was going to have to do something. From the dreaded anxiety, and the uncomfortable “H” to to the digestion issues, it seemed that the hot flashes were the easy part. Hormonal changes were outpacing me by leaps and bounds. I could deal with the easy part by using my new air conditioner, but the other stuff was so overwhelming I felt sick all the time. And I literally mean sick. Fortunately, “E” had a lot of time on his hands, so he could help research solutions to these new problems. Yay me! I’ve already resurrected one thing, but this new stuff really better work. A homeopathic route is more comfortable to me right now versus having to pump chemicals into my body before it becomes a necessity. I really do like lemonade…pink lemonade. (Newman’s Own is the bomb!) So to make that lemonade, I need to take care of myself. This is really hard for me because I am used to working…all the time. My work lemons are never ending stressful deadlines and obligations with little to no help. Over the years these lemons have caused stress which in turn has taken its toll on me. Now my body is screaming “NO”, and I have had to learn to lay low. The good news is that I have been laying low lately…quite a lot in fact. I suppose you could say that there has been a fair amount of lemonade making going on, and that is perfectly okay at this point in my life. There are more lemons to turn into lemonade, but in the meantime, I feel as if I am starting to #embracethechanges that life is bringing my way. Wishing you moments to make lemonade out of lemons!